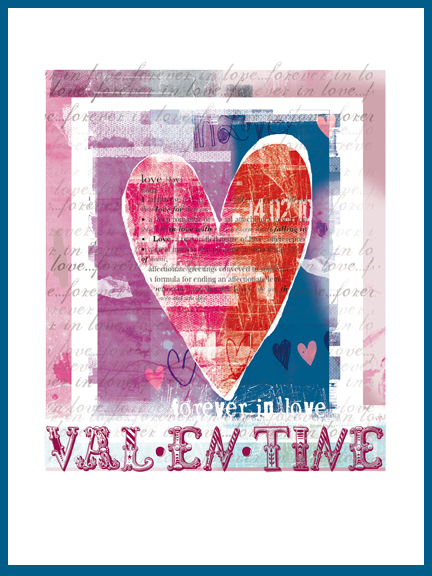 Happy Valentines Day to you all…. Happy V day to you all. Here are the cards Toby and I did for eachother. I am so chuffed with my Union Jack styly card. The boy knows me well!!!! I know it’s not Christmas now but I wanted to show this picture that we did for the Grandparents for Christmas. 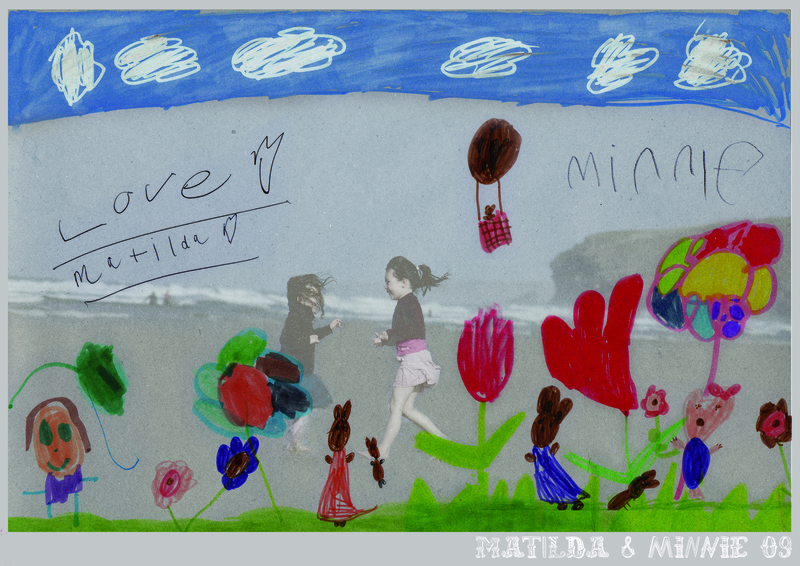 We used a selection of the girls drawings and mixed them up with a pic of them on the beach in Cornwall. We think it’s quite great! 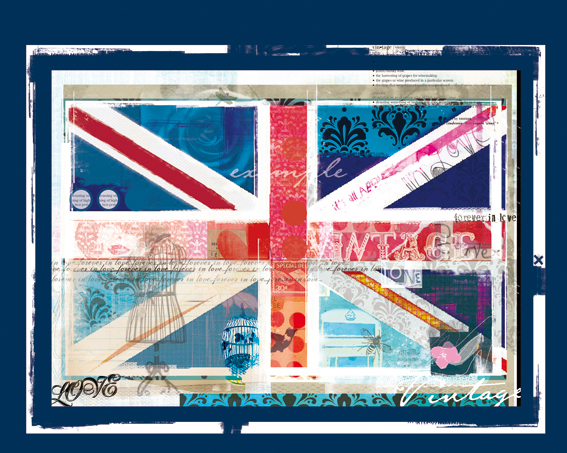 Union Jack print FINISHED – I think!!!!! 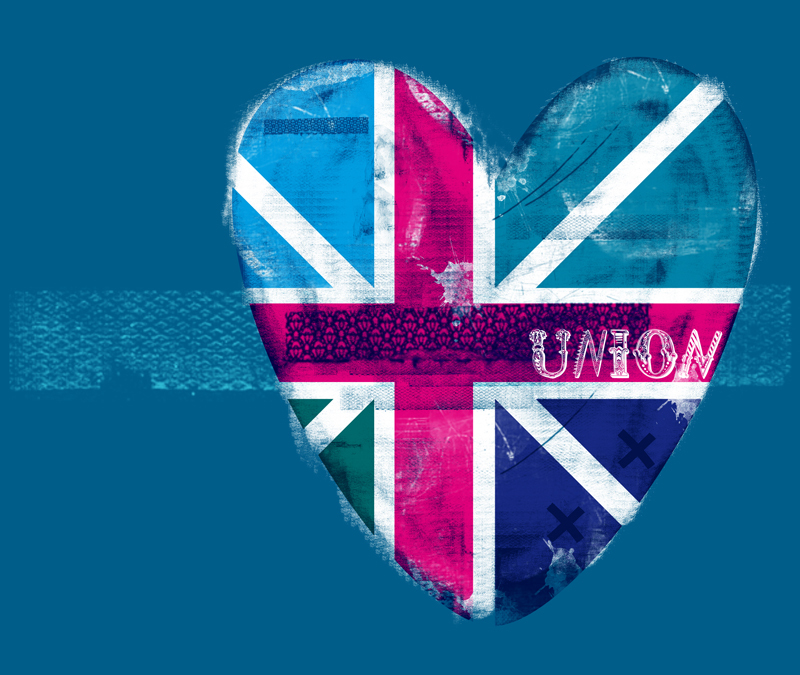 Here is an update of my Union Jack Print. 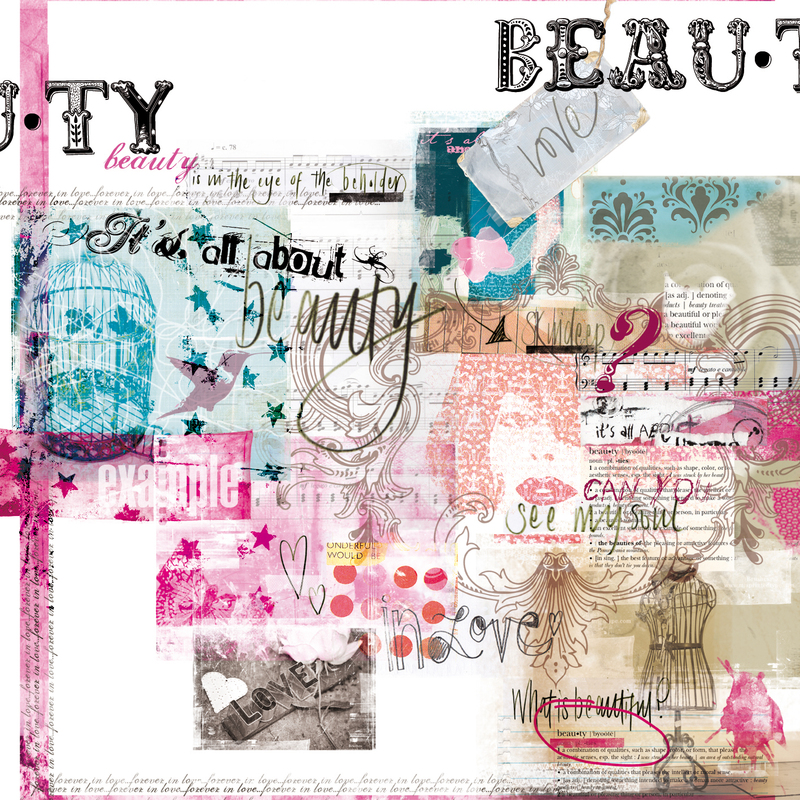 I am desperate to get it finished and printed on to canvas but I keep thinking there is more I can do and add to it. But I think the time has come to stop – finally!!!! I was debating printing on paper and framing but I think it would lend itself to being on canvas as it will give it so much more texture and more of a material feel to it. 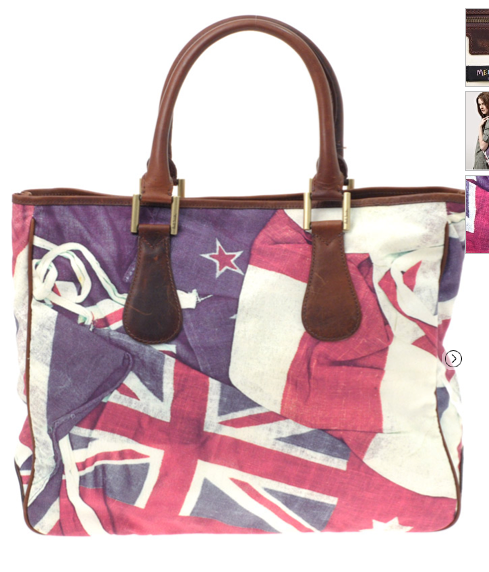 I was watching a vintage flag on ebay the other day which in the end went for nearly £300.00! For me it all started with a bag but now I am seeing cushions, rugs, headboards, mugs, door mats EVERYWHERE! Hopefully having my canvas on the wall with stop me WANTING EVERYTHING! Yeah right, we’ll see how long it lasts! If you want to buy this print on canvas please contact me at clarecockman@yahoo.co.uk for info on price and size. Here is my latest print. It isn’t finished but nearly there. I wanted a kind of sketchbook feel, lots of layers all overlapping.